Based on this information, you can address important points such as the length and type of content you should publish. One of the most potent dilemmas faced by content creators is the debate over short-form vs long-form content. Long-form content is crucial for improving search engine rankings and building credibility. However, owing to the dwindling attention span of audiences, short-form content might seem like a more intelligent choice. Before we address the ongoing battle of short-form vs long-form content, let us understand each type in greater detail. There are no precise definitions for long-form and short-form content. However, most content creators and digital marketers agree that long-form content usually contains 2000-words or more. It includes blog posts, whitepapers, ebooks, and tutorials or how-to guides. Long-form content gives you ample scope to include meaningful insights and analyses, along with the latest statistics and data. It is more demanding in terms of time and resources. Your audience is in the early stages of buyers’ journey and has little knowledge of your products or services. You are selling high-end and expensive products or services. Your potential customers need extensive information about such products or services in order to make their decisions. Or your products or services require more commitment in terms of time and resources from the buyer. Your brand is relatively new or you are launching a new product or service. Long-form content allows you to give extensive details about your offering and how it can be valuable to your audience. You are selling a technical product and would like to explain its specs in details. Your goal is to close B2B sales that involve a long and complex purchasing cycle. It is evident that long-form content works in situations when you want to give in-depth information to your audience. It can influence purchase decisions by acquainting new prospects with your products and services. The next step of our short-form vs long-form content comparison is to address the benefits offered by the latter. It takes a significant investment in terms of time, resources, and capital to write a 2000-word long in-depth and well-researched blog post. This effort and investment are evident to your audience as well. Long-form content positions you as a brand that cares for your audience and wants to add value to their lives. This, in turn, helps you earn the trust of your audience and reinforces brand credibility. Publishing meaningful long-form content consistently also keeps your audience hooked. This can help you boost customer loyalty and retain existing customers. Creating and publishing long-form content is an extremely strenuous process. You need highly skilled content creators to ensure that the content is engaging and meaningful. Moreover, it takes time to develop such content. This often acts as a deterrent and discourages many marketers from considering long-form content. 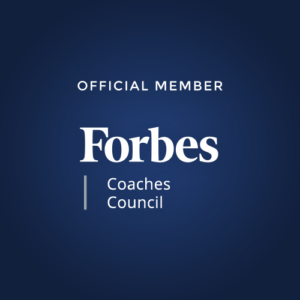 You can outperform your competitors by using this to your advantage. Long-form content helps you cut through the noise and catch the attention of your potential customers. When you publish detailed and insightful content, you are perceived as an industry expert. Doing this on a regular basis establishes your authority in certain subject matters in your niche. Your audience starts seeing you as a valuable and trusted source of meaningful information. There was a time when you could improve your search engine rankings by stuffing keywords into a thin 500-word article. However, with the introduction of Google RankBrain, such malicious strategies are no longer useful. 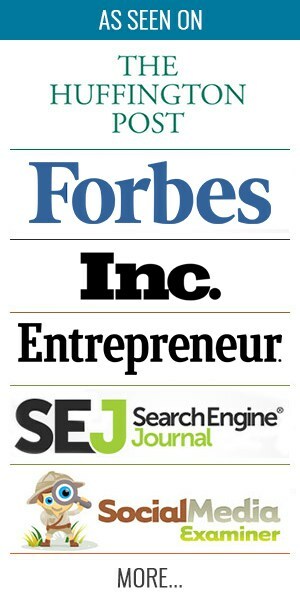 In fact, search engine algorithms are constantly being updated in order to reward original, meaningful, useful content. Long-form content allows you to incorporate your keywords into your content in a seamless manner. This increases the keyword density of your content and in turn, leads to increased organic traffic from search engines. If your content is well-researched and contains useful data, statistics, or infographics, it will attract backlinks from other websites. In addition to increasing website traffic further, this also strengthens your inbound link profile. Armed with the right type of content, you can even attract backlinks from high-authority websites in your niche. Search engines such as Google constantly strive to deliver the best experience to their users. As a result, they have a penchant for websites that offer detailed, meaningful, and valuable content. In fact, Google’s Panda algorithm update was introduced to reward websites with high-quality content. Keyword rich content and a powerful inbound link profile contribute directly to your website’s search engine rankings. It tells search engines bots that you are here to deliver value to your audience. Moreover, when your website attracts high-quality backlinks, search engine bots also perceive you as an authority figure in your industry. As a result, your website’s search engine rankings improve and you experience a surge in organic search traffic. If you publish well-researched and engaging long-form content, your audience is likely to spend more time on your website. This, in turn, improves website parameters such as bounce rate and time on site. Moreover, long-form content allows for efficient interlinking among different blog posts on your website. As a result, you can keep your readers hooked to your website for a longer time. This goes a long way to improve bounce rate even further. AppSumo’s Noah Kagan collaborated with the BuzzSumo team to analyze the social share counts of 100 million articles. The study revealed that in the battle of short-form vs long-form content, the latter gets more social shares. In fact, blog posts with a length between 3,000 and 10,000-words got the maximum number of social shares. This figure is not surprising considering that when you read something of value you’ll be tempted to share it. Thus, long-form content has the potential to become viral. This, in turn, can increase website traffic and elevate your brand awareness to greater heights. Long-form content allows you to incorporate plenty of subheadings, infographics, bulleted lists, and images. This aids scannability and allows a reader to quickly glance through your blog posts to find what they are looking for. It is extremely useful and can help keep your audience engaged even when they don’t have the time to read an entire piece. The ultimate objective of your digital marketing strategy is to convert website visitors and blog readers into paying customers. Long-form content is particularly useful in this regard as it boosts brand credibility and trust. It also positions you as an authority figure in your industry. Moreover, long-form content allows you to provide your audience with all the necessary information about your product or service. This, in turn, is helpful in persuading them to make a purchase. When you create a piece of long-form content, it becomes easier for you to repurpose it into different forms. For instance, you can create an attractive infographic to summarize an elaborate whitepaper. Likewise, you can transform an ebook into a series of YouTube podcasts. In the battle of short-form vs long-form content, the latter offers a number of lucrative benefits. However, it fails to emerge as a clear winner due to a few shortcomings. Creating an engaging 2000-word long blog post is not a cakewalk. It demands a thorough understanding of the topic. Moreover, the content has to be well-researched and properly structured. Thus, it requires a significant amount of time and resources. If you are not adept enough to create such content, you have to outsource it to an expert or agency. This requires you to spend a lot of money, thus making long-form content quite expensive. Today’s fast-paced lifestyle has largely contributed to the decrease in our attention spans. Your audience is constantly busy and has a lot on their minds while going through your website. Unless your blog posts are extremely engaging and well-structured, they will fail to grab the attention of your target audience. Publishing a mind-blowing 3,000-word article is a great way to improve audience engagement. However, it isn’t of much use when you deliver such content once in a blue moon. It is important that you publish content on a regular basis in order to stay alive in the memory of your audience. As discussed previously, creating long-form content is a time-consuming process. Thus, you may not be able to publish regularly. This inconsistency can be detrimental to the success of your content strategy. Even if your blog and website are mobile-responsive, long-form content may not attract many mobile device users. A smaller screen size coupled with reduced attention span makes it difficult for people to read lengthy blog posts on their phones. Instead of reading it right away, they might bookmark it and end up forgetting about it altogether. It is evident that long-form content is extremely beneficial for establishing brand credibility and improving search engine ranking. However, creating such content on a regular basis requires a huge investment in terms of time and money. Thus, digital marketers can’t always rely on it. This complicates the debate of short-form vs long-form content even further. Now, let’s take a look at short-form content in greater detail and see how it helps you overcome the drawbacks of long-form content. Short-form content is characterized by a word count of 1200 or less. It includes emails, short blogs posts, and social media posts (such as captions for images and videos). It is often useful in conveying crucial information in a crisp and concise format. Your audience is already familiar with your brand and your products or services. Such people are looking for precise information that will help them make a purchase. You wouldn’t want to waste their time and yours by providing unnecessary details. You are selling relatively inexpensive and commonly used products or services. Such products or services often benefit from a to-the-point description instead of a lengthy one. You are interacting with your existing customers or qualified leads. If they are ready to purchase from you, they already know what sets your brand apart from your competitors. It is likely that they are looking for specific information related to a product or service. You are writing copy for specific formats such as PPC campaigns, Facebook Ads, and email subject lines. Short-form content is the go-to option for many established marketers and brands. For instance, marketing guru, Seth Godin often writes blog posts that are less than 600-words long. Yet, his articles are extremely engaging and often get a large number of social shares. Now, let’s take a look at the benefits of short-form content. Owing to their short attention spans, your audience may not be reading every word of a lengthy blog post. Instead, they scan through it to find relevant and useful information. Short-form content, on the other hand, ensures that your audience actually reads the entire piece. This leads to increased audience engagement. It is particularly useful when you want to communicate important information about your brand. One of the leading arguments in favor of short-form content is that it requires less time to create and publish. This puts it on the forefront whenever there is a discourse on short-form vs long-form content. You can publish multiple social media posts or short blog posts in the same time that is required to create one 3000-word blog post. It also requires less investment in terms of resources. This is perhaps the biggest advantage of short-form content. You can use it actively engage with your audience on a regular basis. Since it is less time-consuming to create short-form content, you can publish at a greater frequency. Consistency is one of the pillars of every content strategy. It creates a sense of anticipation among your readers and social media audience. You can use a mix of short blog articles and social media posts to keep your audience hooked. Short-form content is mobile-friendly because of its precision and length. It is easier to read a concise 800-word blog post on your phone than a 5000-word ebook. Thus, keeping your content short ensures that your audience actually reads it on their mobile phone, instead of saving it for later. Smartphones are fast replacing desktops and laptops. 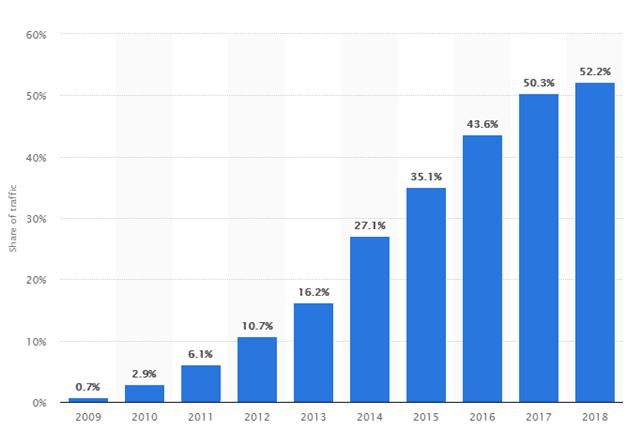 In fact, mobile phones accounted for 52.2% of global internet traffic in 2018. Therefore, it is imperative that you focus on creating short-form content in order to engage your audience. 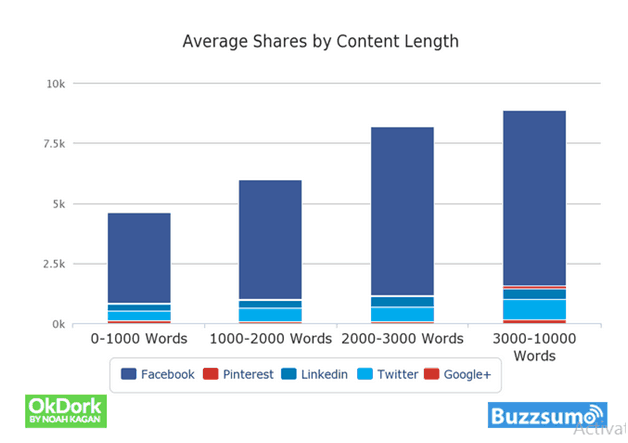 Noah Kagan’s study suggests that long-form content gets more social shares than short-form content. However, it doesn’t consider the fact that it takes much longer to write a 3000-word blog post than a 1000-word one. In fact, you could probably finish writing two or three 1000-word articles in the same amount of time required for a 3000-word post. You can use crisp and to-the-point social media posts to grab the attention of your audience. It is likely that they will read such posts in their entirety and may even share them in their own profiles. This leads to improved engagement levels and takes your content to a far wider audience. This discussion on short-form vs long-form content becomes more baffling when you consider that each type offers unique advantages. It is extremely difficult to pick one over the other. Now, let’s take a look at the drawbacks of short-form content. Short-form content prohibits you from explaining a topic in great detail. This is particularly difficult when you are writing about a topic that requires statistics and examples. A lack of deep insights often makes your content appear superficial and less valuable. Your audience may perceive such blog posts as low-quality content. This is especially true when they are at a stage in the sales funnel where they need more information about your brand. Thus, short-form content can be detrimental to brand credibility and trust. When your audience doesn’t get any meaningful information from your website, they are less likely to spend time on it. This decreases the average time on site and leads to poor bounce rates. The biggest disadvantage of short-form content is that it rarely contributes to an improvement in search engine rankings. This is because it doesn’t establish your authority over important subjects in your niche. In addition, the restrictive-word count prohibits you from making your content keyword rich. Moreover, it is difficult to repurpose short-form content for other channels. It also doesn’t establish you as an industry expert. As a result, you may find it difficult to win your readers’ trust using short-form content alone. 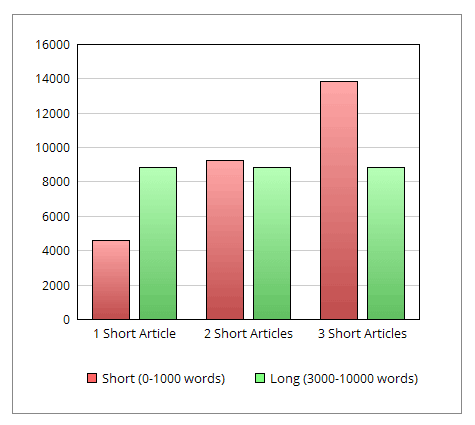 We have evaluated the benefits and drawbacks of both short-form and long-form content. However, it is still difficult to declare a winner in the battle of short-form vs long-form content. This is because each type of content complements the other one. If your content strategy focuses solely on long blog posts, ebooks, and whitepapers, it will be difficult to sustain your audience’s attention. Likewise, focusing on short-form content alone can have a negative impact on your brand credibility and search engine ranking. Target audience – Do you want to connect with tech-savvy college students who spend most of their time on Instagram and social media? Or do you want to attract top-level decision makers in your industry? You can only determine the ideal length of your content once you have a thorough understanding of your target audience. Apart from basic demographics such as age, gender, likes, and dislikes, you should also learn about their academic and professional background. Marketing objective – The choice of short-form vs long-form content depends on the final objective of your marketing strategy. If your goal is to increase brand awareness through social media, short-form content may be the ideal choice. On the other hand, if you want your content to convert readers into paying customer, detailed blog posts are more suitable. User Intent and journey – You must understand why and how a user has landed up on your website or blog. This helps you determine the ideal content length and type for different types of users. The dilemma of short-form vs long-form content can be resolved by taking a closer look at the buyers’ journey. You need to understand where your audience members are located in the sales funnel. People in the awareness stage of the buyers’ journey need more convincing before they even consider purchasing from your brand. Long blog posts, ebooks, and tutorials are ideal in such cases. On the other hand, qualified leads in the decision stage of the buyers’ journey need a slight nudge before they can make up their mind. A targeted email that outlines the benefits of your new product might just be what they need in order to decide. The battle of short-form vs long-form content has been baffling marketers and website owners. What complicates the debate even further is the fact that there isn’t a clear winner. While long-form content improves search engine rankings and brand credibility, short-form content is mobile-friendly and consistent. The choice of short-form content vs long-form content largely depends on where your target audience is located in the sales funnel. It requires a deep understanding of your target audience and the end goal of your marketing campaign. The battle of short-form vs long-form content is a never-ending one. Do you agree? Share your views in the comments section below.